Wah Seong’s 1QFY18 performance was in line with our but below consensus estimates, making up at 22% and 19% of full-year numbers respectively. Core net profit jumped >100% to RM22.2m, in tandem with higher revenue of RM792.8m (+150% YoY). The commendable performance was driven by increased activities from the Group’s major oil and gas project such as the Nord Stream 2 (NS2). We maintain that Wah Seong is making good progress with earnings growth prospects still on track, reflected on its share price performance. We are thereby maintaining our Neutral call on Wah Seong as the major catalyst of NS2 is already priced-in at current levels. Our TP is raised to RM1.64 (from RM1.57) pegged to 10x PE of FY19F EPS of 16.4 sen. The relatively lower PER is justifiable in view of the current market environment on concerns about rising supply from the US and possible quickening in US interest rate hikes that could hamper oil price performances. Revenue was higher in 1QFY18 to RM792.8m (+150.3% YoY) from i) increased pipe coating activities especially from Nord Stream 2 project, ii) higher sales from boiler business and steam turbine in the renewable energy segment, and iii) higher sales in industrial trading and services segment. 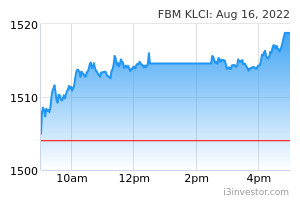 Core net profit of RM22.2m (+157.6% YoY) was largely in line with our earnings projections. The overall improvement in bottom-line was a reflection of higher revenue. We believe Wah Seong’s 2018 performance will remain favorable as NS2 project will continue to boost FY18 earnings. Currently the project is progressing well and has achieved 40% completion, on track with the schedule. Wah Seong’s net debt continues to improve, now at RM558.2m as compared to RM675.5m in December 2017. We foresee this improving further, supported by incoming cashflows from various projects. Outlook. 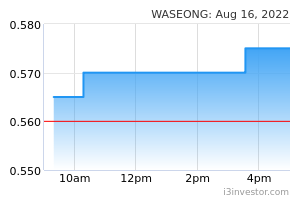 Wah Seong’s earnings outlook is expected to remain stable backed by its healthy orderbook in hand of RM2.5bn including RM472m newly-secured contracts YTD, which should provide earnings visibility until FY19. This will also be supported by sizeable tender book of RM5.8bn, mainly from oil and gas pipeline projects in Australia and Europe. For Malaysian projects i.e., Trans Sabah Gas Pipeline and Multi Products Pipeline, there may be slight delays owing to transitions to a new government at the Federal level post GE14.